The last time I was in Achuar territory, a family medical emergency forced me to cut the visit short. A day's walk into the Amazon from the closest Achuar settlement, I received word by satellite phone that my wife had suffered a life-threatening brain hemorrhage. Through tears, I told my Achuar colleagues that I had to cancel our plans and immediately head home. Miraculously, my wife survived and is making amazing strides in her recovery. 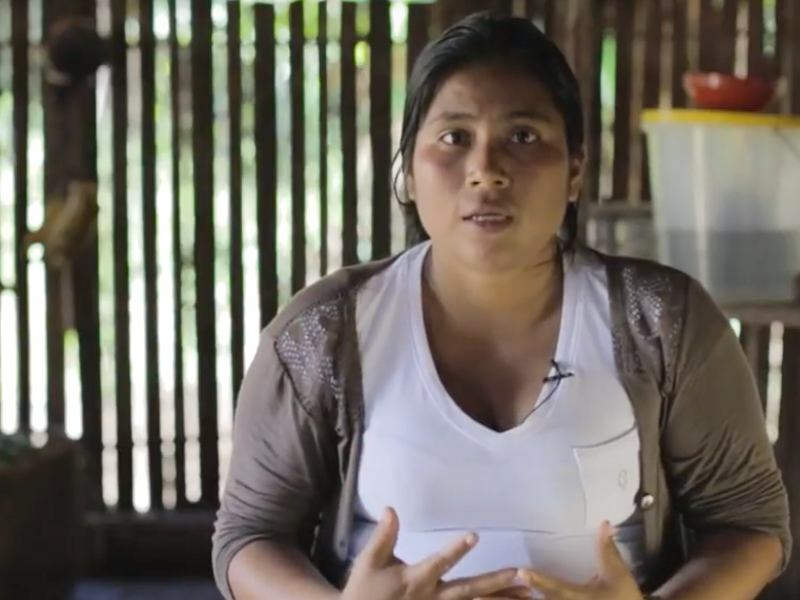 She strongly encouraged me to return to the northern Peruvian Amazon to continue Amazon Watch's important work. 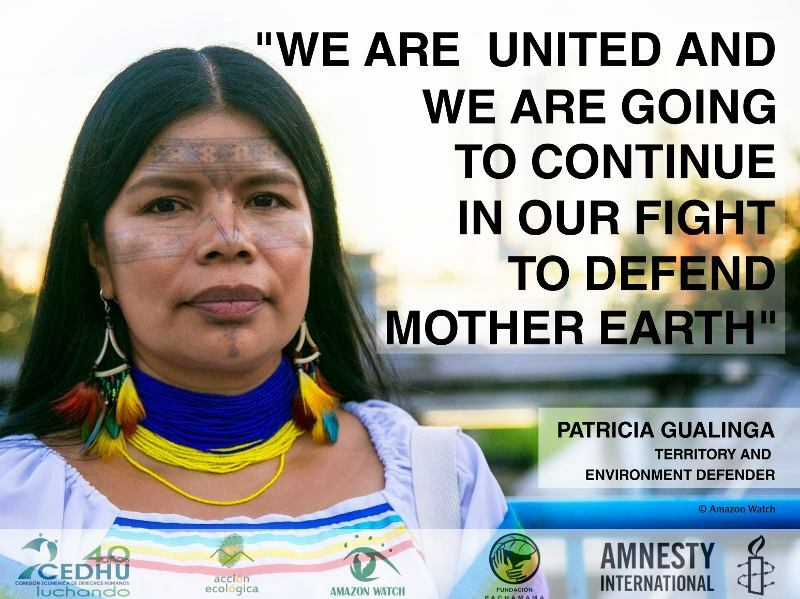 The timing is crucial, as oil companies are on the cusp of drilling and extracting in Achuar ancestral territory. Chile-based GeoPark is currently awaiting approval for their environmental impact study of the Situche Central project, within the oil concession known as Block 64. 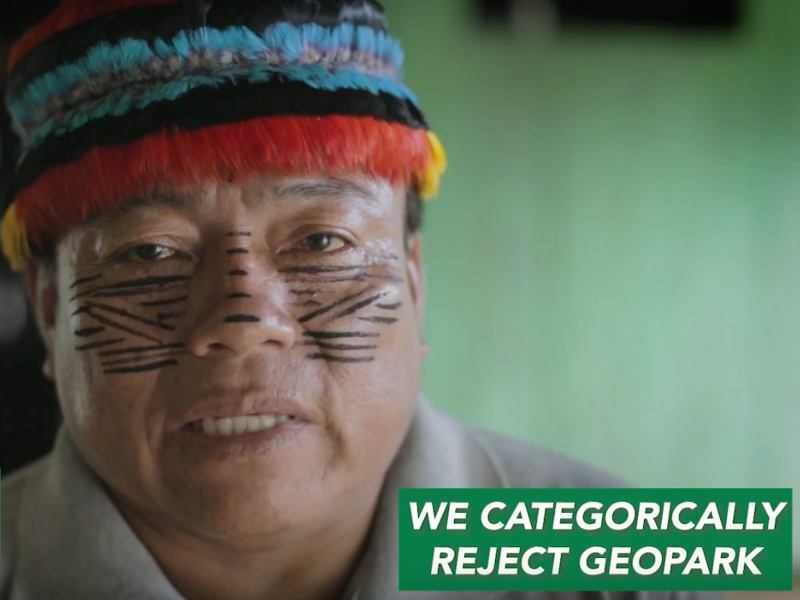 The Achuar organization FENAP – encompassing 45 communities across 2 million acres of ancestral territory – stands firm in its opposition to GeoPark's admission. They emphasized this repeatedly at their recent assembly, hosted in the community of Kuyuntsa. Traveling from my home to this assembly required three flights, a car trip through the verdant mountains of northern Peru, and then a day and a half riding in a speedboat up the Pastaza and Manchari Rivers with FENAP president Jeremías Petsein. Upon our arrival, we were greeted by many Achuar, some friends from previous visits and others I was meeting for the first time. Achuar delegates themselves traveled by river or on foot to the gathering, some walking for as long as four days from their distant communities. Much of the four-day agenda focused on issues related to environmental protection and defense of their territory against oil companies and other extractive industries. Community members expressed concern for oil spills already caused by the Northern Peruvian Oil Pipeline, which at 45 years old is decrepit and at constant risk of rupture. They also discussed the incursion of loggers and resolved to expel them from Achuar territory. GeoPark was mentioned extensively as an imminent threat. Pending approval of their environmental impact study, the company is poised to initiate construction of the Situche Central oil platform within Achuar ancestral territory and a pipeline extending to the Morona River. Based on prior exploratory work by companies like Talisman, GeoPark is hoping to initiate actual oil production in 2020. The Achuar currently find themselves in a danger zone, on the brink of an oil-soaked scenario which would irrevocably damage their lands, health, and environment. 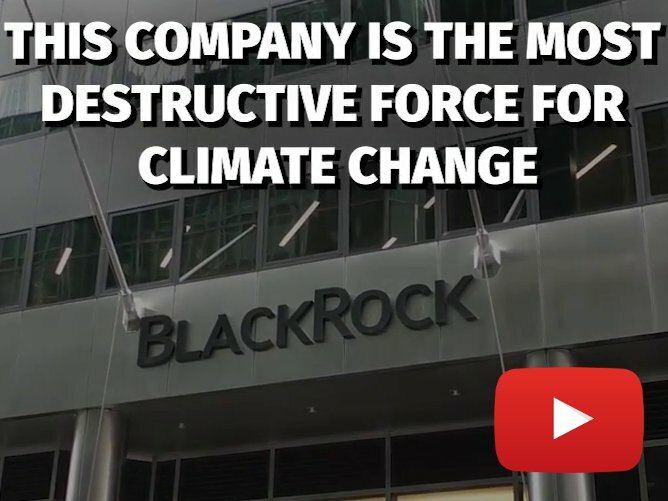 As the company endeavors to manufacture a "social license to operate," conflicts between communities have worsened. Human rights lawyers informed the assembly that GeoPark is actively helping pro-oil Achuar communities (fomented by previous fossil fuel companies) to expand their land titles to include areas where the company wants to drill. That same zone is rightly claimed by communities associated with FENAP as part of their unified territory. The move is highly contentious, ratcheting up the tensions between sister communities. FENAP has expressed their vehement opposition to the regional governmental authorities who review land claims. The risk of new oil drilling in Achuar territory is more alarming than it has been since I started with Amazon Watch over twelve years ago. Fortunately, the Achuar are determined to protect their lands and families from contamination, as community delegates reiterated over the course of the assembly. The communities also benefit from the support of steadfast allies, both Peruvian and international, a number of whom were in attendance. Legal advisors to the Achuar presented an extensive report on legal defense of their collective rights. The Achuar have demanded that the government grant them title over their 2 million acres of ancestral territory and eliminate overlapping oil concessions, and these motions have been admitted for consideration by the Constitutional Tribunal, one of Peru's highest courts. 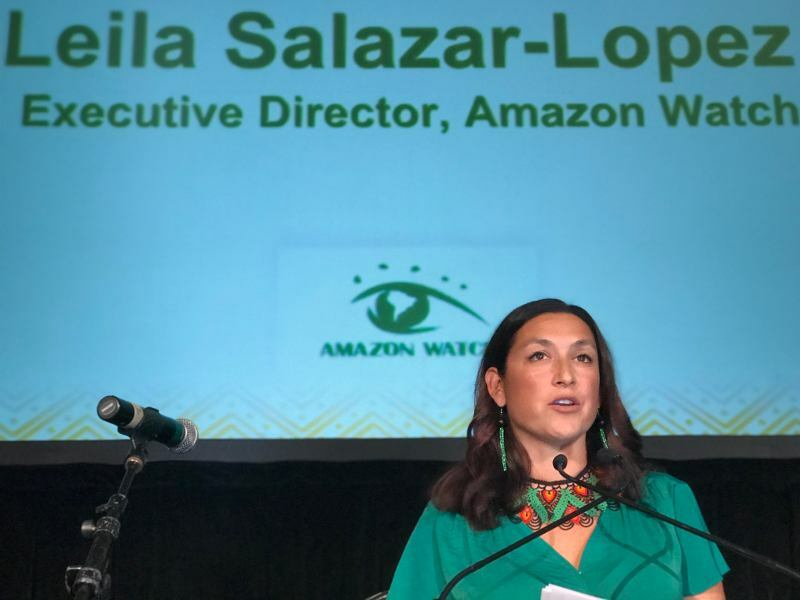 The assembly agenda included time for Amazon Watch to recount the international campaigning and advocacy we have carried out alongside the Achuar over more than ten years. I outlined how this international work complements all of the community-led actions and national actions like the legal process. We strategized around immediate-term collaboration to strengthen their territorial defense against the imminent entry of GeoPark. On the fourth day, the assembly elected new leadership for FENAP. Our friend and colleague Jeremías Petsein has completed a busy four years as president, and he made way for an infusion of new energy. The incoming members of the Achuar leadership council have their work cut out for them. 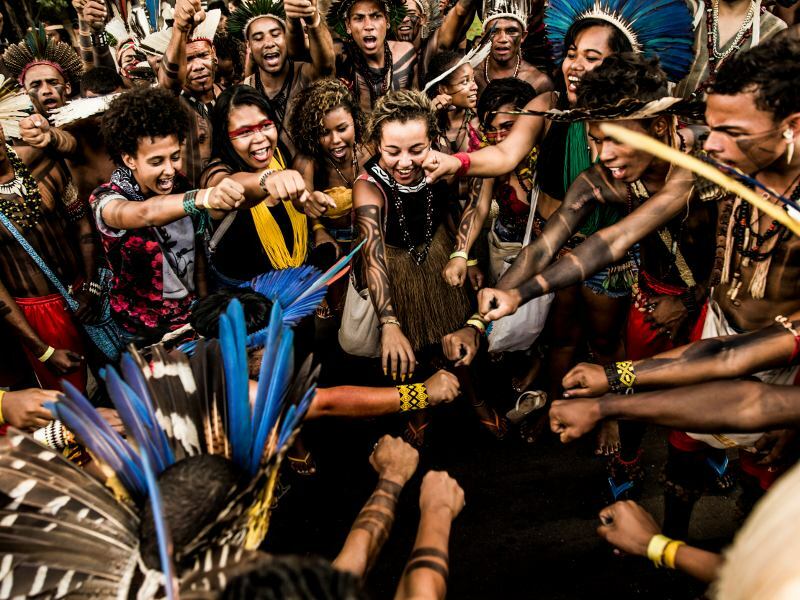 The assembly also agreed on many courses of action toward realization of their Life Plan, including ongoing efforts to protect their rainforest homeland. Heading back home to my family, I'm reinvigorated to intensify our accompaniment of the Achuar People of the Pastaza River. Their commitment to defending the Amazon for the benefit of their children and my own is unwavering. Now is the time to back them up, lest they risk losing a battle they have been fighting – and winning – for decades.